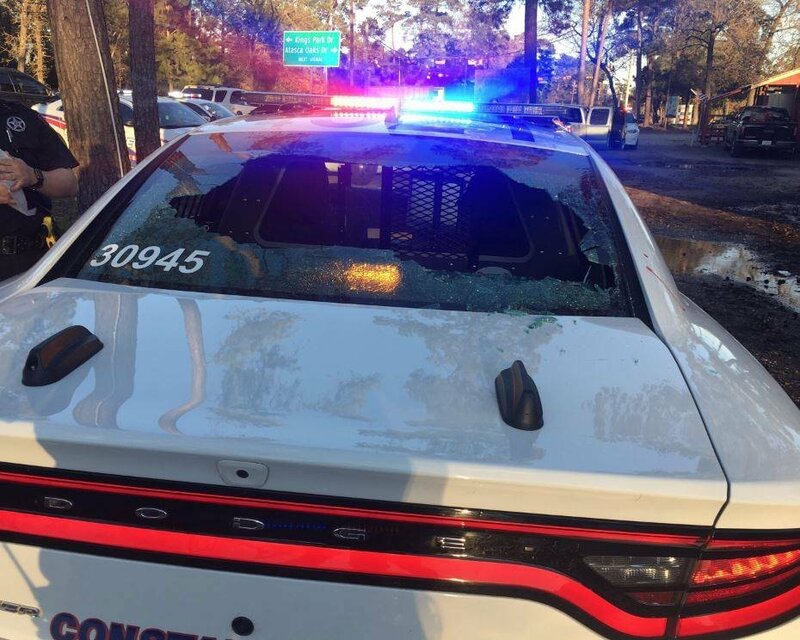 A suspect seated in the back of a patrol car used his head to break the back windshield of the vehicle after he was detained during a traffic stop. According to reports from PCT 4, on January 19, 2019, a deputy with Constable Mark Herman's Office conducted a traffic stop on a vehicle in the 6100 block of FM 1960 East in Atascocita. During the course of the traffic stop, the driver - identified as Skyler Sparkman - became very combative toward the deputy. Skyler Sparkman was detained and placed in the back seat of a patrol vehicle, where he then began to bang his head against the cage. He was immediately removed from the vehicle and a brief struggle ensued. 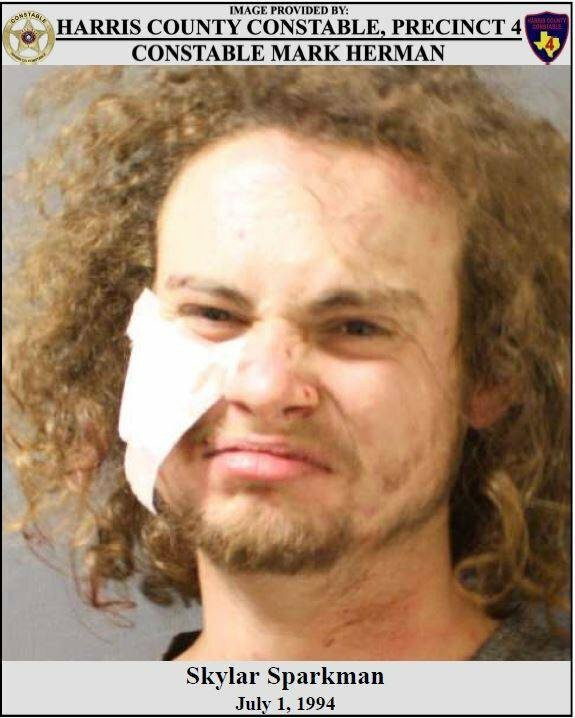 He then used his head to break the back windshield of the patrol vehicle. Constable Deputies were able to bring him under control and he was treated by emergency medical services on scene for his injuries. While deputies were dealing with Sparkman's combativeness, the female passenger of the vehicle attempted to flee from the scene. She was quickly detained, however. She then provided a deputy a false name and date of birth. After further investigation, she was identified as Dejah Ellis. 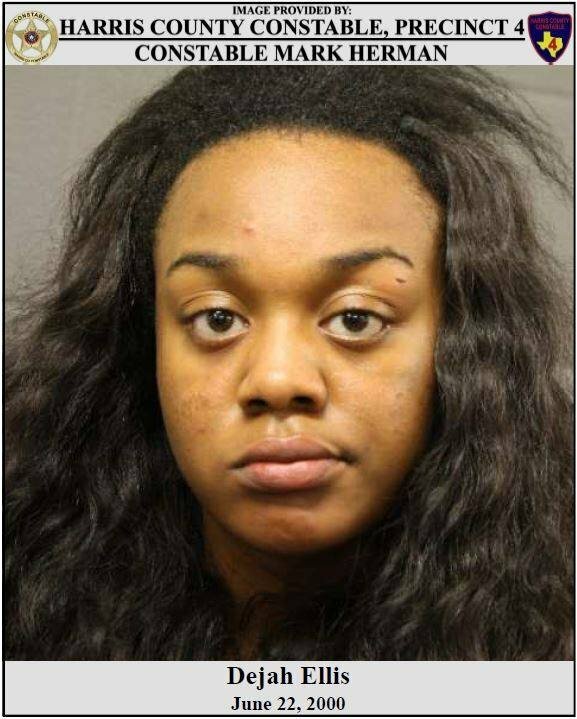 "Skyler Sparkman and Dejah Ellis were arrested and booked into the Harris County Jail. Skyler Sparkman was charged with Interfering with the Duties of a Public Servant and Criminal Mischief. His total bond was set at $1,000.00 out of County Court 12. Dejah Ellis was charged with Failure to Identify to a Police Officer. Her bond was set at $500.00 out of County Court 12." LMAO that mugshot is amazing. Regular Bonnie n Clyde these two. Skyler, thats not how you get aHEAD in life! Must have a really hard head! WHY SKYLAR, WHY? Oh these jokes just write themselves. Her expression says it all, "Yeah, I KNOW"
He has that whole Crusty the Clown thing working. Thug, trash, degenerate. They need to start arming these cops with rubber hoses and phone books to administer some tough love. These two need to reproduce and have a baby. Let's Make America Great Again. I'm sure we will see a NewBee shortly and defend these guys. Yep : These two need to reproduce and have a baby. Let's Make America Great Again. @RocketsHouston : I like it better when you're pro wall, how about we build a wall to keep those two out? how about we build a wall to keep those two out? Do you think they crossed the border illegally? Yep : Do you think they crossed the border illegally? @RocketsHouston : I don't think we can chance it, do you? Build it, and they won't come! It's more like build it and they will come. Do you think they can bring ladders or dig tunnels? Just saying.